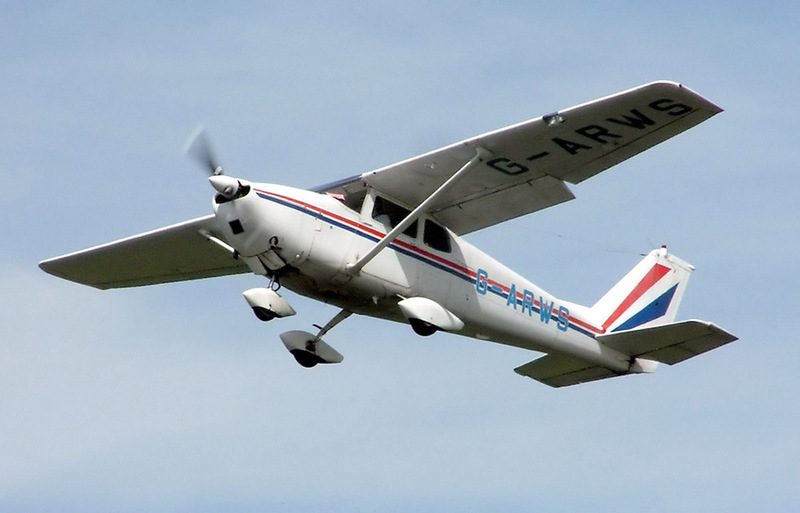 The Cessna 175 Skylark is an all-metal, single-engine, four-seat, high-wing light utility aircraft, produced by Cessna Aircraft Company between 1958 and 1962. 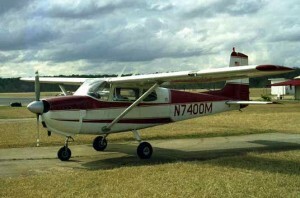 Cessna 175 Skylark was made to fill the gap between Cessna 172 Skyhawk and faster Cessna 182 Skylane. 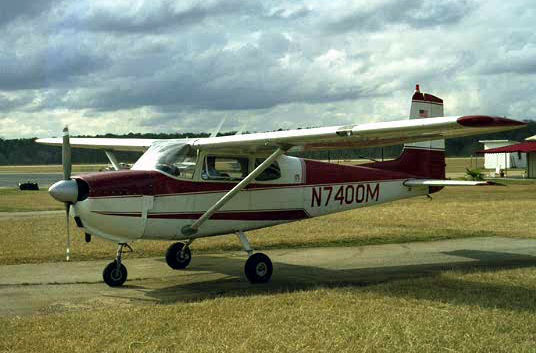 From the year 1958 to 1962, Cessna Aircraft Company made 2106 units. 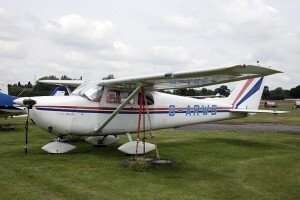 The basic plane was dealt in the market as 175, and the plane along with a bundle of optional equipments, as well as overall paint, was dealt in the market as Skylark. 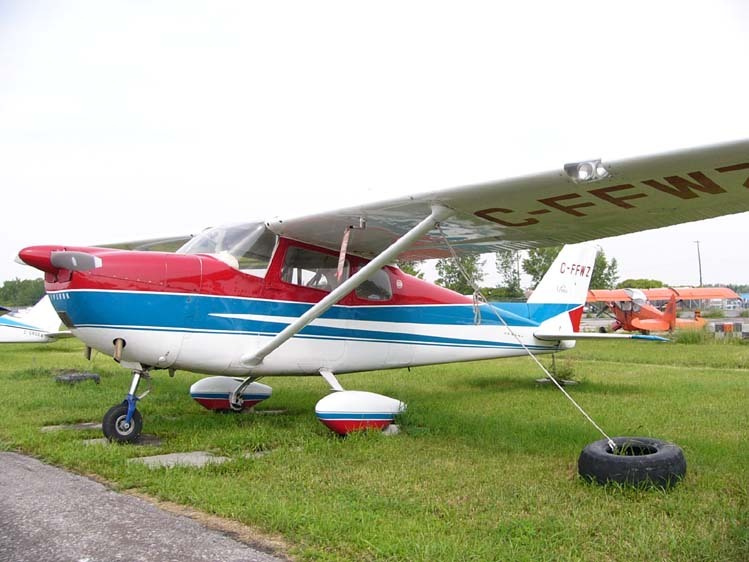 Cessna 175 is made of aluminum alloy, and the fuselage is a semi-monocoque construction. The wings, which are formed with exterior aluminum sheeting, are riveted to internal spars and ribs and a braced from the lower fuselage. Cessna 175’s landing gear is a tricycle system. The primary gear legs are constructed of spring steel. There is also a steerable nosewheel linked via an oleo strut employed for shock absorption. When it comes to appearance, Cessna 175 is very similar to Cessna 172. The Cessna 175 integrates airframe alterations to deal with an increased gross weight. One noticeable difference is the bulge in the cowling of the later to fit the gearbox. The Cessna 172 and Cessna 175 looks almost similar from outside, but they are constructed to different type of certificates. In fact, almost no parts of these two aircrafts are interchangeable. 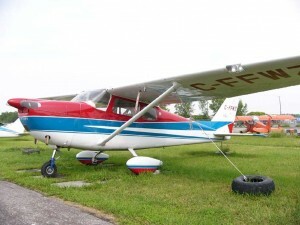 Cessna 175 is designed with hydraulic wheel breaks. The nosewheel is dirigible with rudder up to ten degrees and is capable of being controlled up to thirty degrees. The Cessna 175 is supplied with a 175 horsepower carbureted Continental GO-300 engine. Most single engine powered aircrafts employ direct drive, but this engine rides the propeller with a reducing gearbox. Therefore, the engine bunks at 3200 rpm to move the propeller at 2400 rpm speed. Cessna 175’s engine has poor reputation. However, some people believe that its bad reputation is highly undeserved because most of its troubles were the results of minor pilot driven errors. Pilots who were not familiar with gear reduction engines tend to operate the engine at low RPM settings suitable to direct-drive engines, while the operating handbook of the Cessna 175 demands cruising at 2900 RPM. The low RPM triggered harmonic trembling in the reduction gear between the crank-shaft and quill-shaft. The low power triggered in low airspeeds which forestall the air cooling system from working in an effective way. There are four seats in two pairs, with the front pair possessing dual controls. The cabin has fiberglass soundproofing along with ventilation system and combined heating. The Cessna 175 has newly projected split level instrument panel, keeping all of the main flight instruments right in front of the pilot, unlike earlier Cessnas in which the main flight instruments used to spread out over the panel. Several high-powered versions of the Cessna 172 Skyhawk belong to the Cessna 175 type design. 175 Skylark – Certified 14th January, 1958, it is powered by 175 horsepower Continental GO-300A or -300C engine, with a gross weight of 1065.94 kilograms (2350 lb). 175A Skylark – Certified 28th August, 1959, it is powered by 175 horsepower Continental GO-300C or -300D engine, with seaplane gross weight 1111.30 kilograms (2450 lb) and landplane gross weight 1065.94 kilograms (2350 lb). 175B Skylark – Certified 14th June, 1960, it is powered by 175 horsepower Continental GO-300C or -300D engine, with seaplane gross weight 1111.30 kilograms (2450 lb) and landplane gross weight 1065.94 kilograms (2350 lb). 175C Skylark – Certified 18th September, 1961, it is powered by 175 horsepower Continental GO-300E, with a gross weight of 1111.30 kilograms (2450 lb).